In certain rare cases, however, a vaccine can bring with it much more serious consequences. Vaccines have been associated with certain neurological conditions such as Guillain-Barre Syndrome (GBS) and Acute Disseminated Encephalomyelitis (ADEM), seizure disorders, brain injury, allergic reactions, blood disorders, shoulder injuries related to vaccine administration (SIRVA), immunologic disorders, and even death. These and other serious potential injuries associated with vaccines can prove life-altering or, at times, even deadly. The National Vaccine Injury Compensation Program, or VICP, is a result of the National Childhood Vaccine Injury Act of 1986. Two years later, in October of 1988, the Vaccine Injury Compensation Program was established to ensure both stable costs for, and an adequate supply of, vaccines in the United States. In addition, the Vaccine Injury Compensation Program established an efficient and accessible forum for all individuals found to have suffered a vaccine injury following the administration of certain vaccines. The Vaccine Injury Compensation Program resolves vaccine injury claims through the provision of monetary compensation to injured parties. The United States Department of Justice and the United States Department of Health and Human Services both play important roles in the Vaccine injury Compensation Program, but it is the United States Court of Federal Claims that ultimately decides which vaccine injury cases will be compensated under the Vaccine Injury Compensation Program. For those who believe themselves to be victims of personal injury resulting from administration of a vaccine, the Vaccine Injury Compensation Program provides a fund for patient compensation in the form of the Vaccine Injury Compensation Trust Fund. This program is funded by an excise tax on most major vaccinations recommended by the Centers for Disease Control and Prevention (CDC). 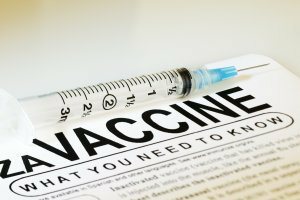 Individuals who seek compensation as a result of vaccine injuries must first file a claim. This process can prove confusing or intimidating to some people. To lessen this confusion and intimidation, below are answers to some of the most frequently asked questions received by our office concerning vaccine injury compensation claims. In order for the vaccine claim to be valid, the injury in question must have lasted for six months or longer or must have resulted in hospitalization and surgery. Vaccine injuries that result in death are also eligible for a claim. In order for a vaccine injury claim to be eligible for compensation, the claim needs to be filed within three years after the first symptom that the vaccine injury occurred. If the vaccine injury resulted in a death, the deadline is no later than two years after the death and no later than four years after the beginning of the first symptom of the vaccine injury that ultimately resulted in the death. The vaccine injury claim is then filed in the United States Court of Federal Claims. From here it is adjudicated by Special Masters from the Court. Representation by an attorney is highly recommended because the cases are complicated both medically and legally. The procedures for prosecuting a vaccine claim are unique and often confusing to non-lawyers. Wondering what to do if diagnosed with a vaccine injury? Contact the Law Offices of Leah V. Durant, PLLC today. The vaccine attorney at the Law Offices of Leah V. Durant, PLLC has been admitted to the U.S. Court of Federal Claims and is fully equipped to process and represent your claim. Staff is available seven days a week, to answer your questions, review your case quickly and efficiently to determine the viability of your vaccine injury claim, all at no cost to you. To request additional information about the flu vaccine, Guillain-Barre Syndrome, ADEM, Chronic Inflammatory Demyelinating Polyneuropathy (CIDP), Shoulder Related to Vaccine Administration (SIRVA), or any other vaccine injury, call the Law Offices of Leah V. Durant, PLLC today at 202-775-9200 or by emailing info@vaccinelaw.com.